A. The first glove should be picked up by grasping the inside of the cuff. B. The second glove should be picked up by inserting the gloved fingers under the cuff outside the glove. D. Complete blood count (CBC) and electrolyte levels. D. Completed a master’s degree in the prescribed clinical area and is a registered professional nurse. 1. D. In the circular chain of infection, pathogens must be able to leave their reservoir and be transmitted to a susceptible host through a portal of entry, such as broken skin. 2. C. Respiratory isolation, like strict isolation, requires that the door to the door patient’s room remain closed. However, the patient’s room should be well ventilated, so opening the window or turning on the ventricular is desirable. The nurse does not need to wear gloves for respiratoryisolation, but good hand washing is important for all types of isolation. 3. A. Leukopenia is a decreased number of leukocytes (white blood cells), which are important in resisting infection. None of the other situations would put the patient at risk for contracting an infection; taking broad-spectrum antibiotics might actually reduce the infection risk. 4. A. Soaps and detergents are used to help remove bacteria because of their ability to lower the surface tension of water and act as emulsifying agents. Hot water may lead to skin irritation or burns. 5. A. Depending on the degree of exposure to pathogens, hand washing may last from 10 seconds to 4 minutes. After routine patient contact, hand washing for 30 seconds effectively minimizes the risk of pathogen transmission. 6. B. The urinary system is normally free of microorganisms except at the urinary meatus. Any procedure that involves entering this system must use surgically aseptic measures to maintain a bacteria-free state. 7. C. All invasive procedures, including surgery, catheter insertion, and administration of parenteral therapy, require sterile technique to maintain a sterile environment. All equipment must be sterile, and the nurse and the physician must wear sterile gloves and maintain surgical asepsis. In the operating room, the nurse and physician are required to wear sterile gowns, gloves, masks, hair covers, and shoe covers for all invasive procedures. Strictisolation requires the use of clean gloves, masks, gowns and equipment to prevent the transmission of highly communicable diseases by contact or by airborne routes. Terminal disinfection is the disinfection of all contaminated supplies and equipment after a patient has been discharged to prepare them for reuse by another patient. The purpose of protective (reverse)isolation is to prevent a person with seriously impaired resistance from coming into contact who potentially pathogenic organisms. 8. C. The edges of a sterile field are considered contaminated. When sterile items are allowed to come in contact with the edges of the field, the sterile items also become contaminated. 9. B. Hair on or within body areas, such as the nose, traps and holds particles that contain microorganisms. Yawning and hiccupping do not prevent microorganisms from entering or leaving the body. Rapid eye movement marks the stage of sleep during which dreaming occurs. 10. D. The inside of the glove is always considered to be clean, but not sterile. 11. A. The back of the gown is considered clean, the front is contaminated. So, after removing gloves and washing hands, the nurse should untie the back of the gown; slowly move backward away from the gown, holding the inside of the gown and keeping the edges off the floor; turn and fold the gown inside out; discard it in a contaminated linen container; then wash her hands again. 12. B. According to the Centers for Disease Control (CDC), blood-to-blood contact occurs most commonly when a health care worker attempts to cap a used needle. Therefore, used needles should never be recapped; instead they should be inserted in a specially designed puncture resistant, labeled container. Wearing gloves is not always necessary when administering an I.M. injection. Enteric precautions prevent the transfer of pathogens via feces. 13. A. Nurses and other health care professionals previously believed that massaging a reddened area with lotion would promote venous return and reduce edema to the area. However, research has shown that massage only increases the likelihood of cellular ischemia and necrosis to the area. 14. B. Before a blood transfusion is performed, the blood of the donor and recipient must be checked for compatibility. This is done by blood typing (a test that determines a person’s blood type) and cross-matching (a procedure that determines the compatibility of the donor’s and recipient’s blood after the blood types has been matched). If the blood specimens are incompatible, hemolysis and antigen-antibody reactions will occur. 15. A. Platelets are disk-shaped cells that are essential for blood coagulation. A platelet count determines the number of thrombocytes in blood available for promoting hemostasis and assisting with blood coagulation after injury. It also is used to evaluate the patient’s potential for bleeding; however, this is not its primary purpose. The normal count ranges from 150,000 to 350,000/mm3. A count of 100,000/mm3 or less indicates a potential for bleeding; count of less than 20,000/mm3 is associated with spontaneous bleeding. 16. D. Leukocytosis is any transient increase in the number of white blood cells (leukocytes) in the blood. Normal WBC counts range from 5,000 to 10,000/mm3. Thus, a count of 25,000/mm3 indicates leukocytosis. 17. A. Fatigue, muscle cramping, and muscle weaknesses are symptoms of hypokalemia (an inadequate potassium level), which is a potential side effect of diuretic therapy. The physician usually orders supplemental potassium to prevent hypokalemia in patients receiving diuretics. Anorexia is another symptom of hypokalemia. Dysphagia means difficulty swallowing. 18. A. Pregnancy or suspected pregnancy is the only contraindication for a chest X-ray. However, if a chest X-ray is necessary, the patient can wear a lead apron to protect the pelvic region from radiation. Jewelry, metallic objects, and buttons would interfere with the X-ray and thus should not be worn above the waist. A signed consent is not required because a chest X-ray is not an invasive examination. Eating, drinking and medications are allowed because the X-ray is of the chest, not the abdominal region. 19. A. Obtaining a sputum specimen early in this morning ensures an adequate supply of bacteria for culturing and decreases the risk of contamination from food or medication. 20. A. Initial sensitivity to penicillin is commonly manifested by a skin rash, even in individuals who have not been allergic to it previously. Because of the danger of anaphylactic shock, he nurse should withhold the drug and notify the physician, who may choose to substitute another drug. Administering an antihistamine is a dependent nursing intervention that requires a written physician’s order. Although applying corn starch to the rash may relieve discomfort, it is not the nurse’s top priority in such a potentially life-threatening situation. 21. D. The Z-track method is an I.M. injection technique in which the patient’s skin is pulled in such a way that the needle track is sealed off after the injection. This procedure seals medication deep into the muscle, thereby minimizing skin staining and irritation. Rubbing the injection site is contraindicated because it may cause the medication to extravasate into the skin. 22. D. The vastus lateralis, a long, thick muscle that extends the full length of the thigh, is viewed by many clinicians as the site of choice for I.M. injections because it has relatively few major nerves and blood vessels. The middle third of the muscle is recommended as the injection site. The patient can be in a supine or sitting position for an injection into this site. 23. A. The mid-deltoid injection site can accommodate only 1 ml or less of medication because of its size and location (on the deltoid muscle of the arm, close to the brachial artery and radial nerve). 24. D. A 25G, 5/8” needle is the recommended size for insulin injection because insulin is administered by the subcutaneous route. An 18G, 1 ½” needle is usually used for I.M. injections in children, typically in the vastus lateralis. A 22G, 1 ½” needle is usually used for adult I.M. injections, which are typically administered in the vastus lateralis or ventrogluteal site. 25. D. Because an intradermal injection does not penetrate deeply into the skin, a small-bore 25G needle is recommended. This type of injection is used primarily to administer antigens to evaluate reactions for allergy or sensitivity studies. A 20G needle is usually used for I.M. injections of oil-based medications; a 22G needle for I.M. injections; and a 25G needle, for I.M. injections; and a 25G needle, for subcutaneous insulin injections. 26. A. Parenteral penicillin can be administered I.M. or added to a solution and given I.V. It cannot be administered subcutaneously or intradermally. 29. A. Hemoglobinuria, the abnormal presence of hemoglobin in the urine, indicates a hemolytic reaction (incompatibility of the donor’s and recipient’s blood). In this reaction, antibodies in the recipient’s plasma combine rapidly with donor RBC’s; the cells are hemolyzed in either circulatory or reticuloendothelial system. Hemolysis occurs more rapidly in ABO incompatibilities than in Rh incompatibilities. Chest pain and urticaria may be symptoms of impending anaphylaxis. Distended neck veins are an indication of hypervolemia. 30. C. In real failure, the kidney loses their ability to effectively eliminate wastes and fluids. Because of this, limiting the patient’s intake of oral and I.V. fluids may be necessary. Fever, chronic obstructive pulmonary disease, and dehydration are conditions for which fluids should be encouraged. 31. D. Phlebitis, the inflammation of a vein, can be caused by chemical irritants (I.V. solutions or medications), mechanical irritants (the needle or catheter used during venipuncture or cannulation), or a localized allergic reaction to the needle or catheter. Signs and symptoms of phlebitis include pain or discomfort, edema and heat at the I.V. insertion site, and a red streak going up the arm or leg from the I.V. insertion site. 32. D. Return demonstration provides the most certain evidence for evaluating the effectiveness of patient teaching. 33. D. Capsules, enteric-coated tablets, and most extended duration or sustained release products should not be dissolved for use in a gastrostomy tube. They are pharmaceutically manufactured in these forms for valid reasons, and altering them destroys their purpose. The nurse should seek an alternate physician’s order when an ordered medication is inappropriate for delivery by tube. 34. D. A drug-allergy is an adverse reaction resulting from an immunologic response following a previous sensitizing exposure to the drug. The reaction can range from a rash or hives to anaphylactic shock. 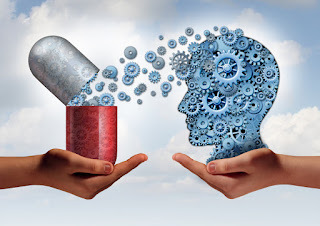 Tolerance to a drug means that the patient experiences a decreasing physiologic response to repeated administration of the drug in the same dosage. Idiosyncrasy is an individual’s unique hypersensitivity to a drug, food, or other substance; it appears to be genetically determined. Synergism, is a drug interaction in which the sum of the drug’s combined effects is greater than that of their separate effects. 35. D. A hemoglobin and hematocrit count would be ordered by the physician if bleeding were suspected. 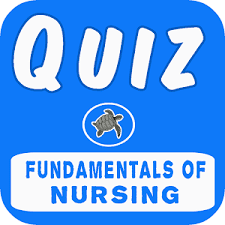 The other answers are appropriate nursing interventions for a patient who has undergone femoral arteriography. 36. A. Coughing, a protective response that clears the respiratory tract of irritants, usually is involuntary; however it can be voluntary, as when a patient is taught to perform coughing exercises. An antitussive drug inhibits coughing. Splinting the abdomen supports the abdominal muscles when a patient coughs. 37. C. In an infected patient, shivering results from the body’s attempt to increase heat production and the production of neutrophils and phagocytotic action through increased skeletal muscle tension and contractions. Initial vasoconstriction may cause skin to feel cold to the touch. Applying additional bed clothes helps to equalize the body temperature and stop the chills. Attempts to cool the body result in further shivering, increased metabloism, and thus increased heat production. 38. D. A clinical nurse specialist must have completed a master’s degree in a clinical specialty and be a registered professional nurse. The National League of Nursing accredits educational programs in nursing and provides a testing service to evaluate student nursing competence but it does not certify nurses. The American Nurses Association identifies requirements for certification and offers examinations for certification in many areas of nursing., such as medical surgical nursing. These certification (credentialing) demonstrates that the nurse has the knowledge and the ability to provide high quality nursing care in the area of her certification. A graduate of an associate degree program is not a clinical nurse specialist: however, she is prepared to provide bed side nursing with a high degree of knowledge and skill. She must successfully complete the licensing examination to become a registered professional nurse. 39. D. Microorganisms usually do not grow in an acidic environment. 40. D. Bile colors the stool brown. Any inflammation or obstruction that impairs bile flow will affect the stool pigment, yielding light, clay-colored stool. Upper GI bleeding results in black or tarry stool. Constipation is characterized by small, hard masses. Many medications and foods will discolor stool – for example, drugs containing iron turn stool black. ; beets turn stool red. 41. D. In the evaluation step of the nursing process, the nurse must decide whether the patient has achieved the expected outcome that was identified in the planning phase. 42. A. The main sources of vitamin A are yellow and green vegetables (such as carrots, sweet potatoes, squash, spinach, collard greens, broccoli, and cabbage) and yellow fruits (such as apricots, and cantaloupe). Animal sources include liver, kidneys, cream, butter, and egg yolks. 43. D. Maintaing the drainage tubing and collection bag level with the patient’s bladder could result in reflux of urine into the kidney. Irrigating the bladder with Neosporin and clamping the catheter for 1 hour every 4 hours must be prescribed by a physician. 45. A. Total Parenteral Nutrition (TPN) requires the use of a large vessel, such as the subclavian or jugular vein, to ensure rapid dilution of the solution and thereby prevent complications, such as hyperglycemia. The brachial and femoral veins usually are contraindicated because they pose an increased risk of thrombophlebitis. 46. D. Studies have shown that showering with an antiseptic soap before surgery is the most effective method of removing microorganisms from the skin. Shaving the site of the intended surgery might cause breaks in the skin, thereby increasing the risk of infection; however, if indicated, shaving, should be done immediately before surgery, not the day before. A topical antiseptic would not remove microorganisms and would be beneficial only after proper cleaning and rinsing. Tub bathing might transfer organisms to another body site rather than rinse them away. 47. C. The leg muscles are the strongest muscles in the body and should bear the greatest stress when lifting. Muscles of the abdomen, back, and upper arms may be easily injured. 48. C. The factors, known as Virchow’s triad, collectively predispose a patient to thromboplebitis; impaired venous return to the heart, blood hypercoagulability, and injury to a blood vessel wall. Increased partial thromboplastin time indicates a prolonged bleeding time during fibrin clot formation, commonly the result of anticoagulant (heparin) therapy. Arterial blood disorders (such as pulsus paradoxus) and lung diseases (such as COPD) do not necessarily impede venous return of injure vessel walls. 49. A. Because of restricted respiratory movement, a recumbent, immobilize patient is at particular risk for respiratory acidosis from poor gas exchange; atelectasis from reduced surfactant and accumulated mucus in the bronchioles, and hypostatic pneumonia from bacterial growth caused by stasis of mucus secretions. 50. B. The immobilized patient commonly suffers from urine retention caused by decreased muscle tone in the perineum. This leads to bladder distention and urine stagnation, which provide an excellent medium for bacterial growth leading to infection. Immobility also results in more alkaline urine with excessive amounts of calcium, sodium and phosphate, a gradual decrease in urine production, and an increased specific gravity.